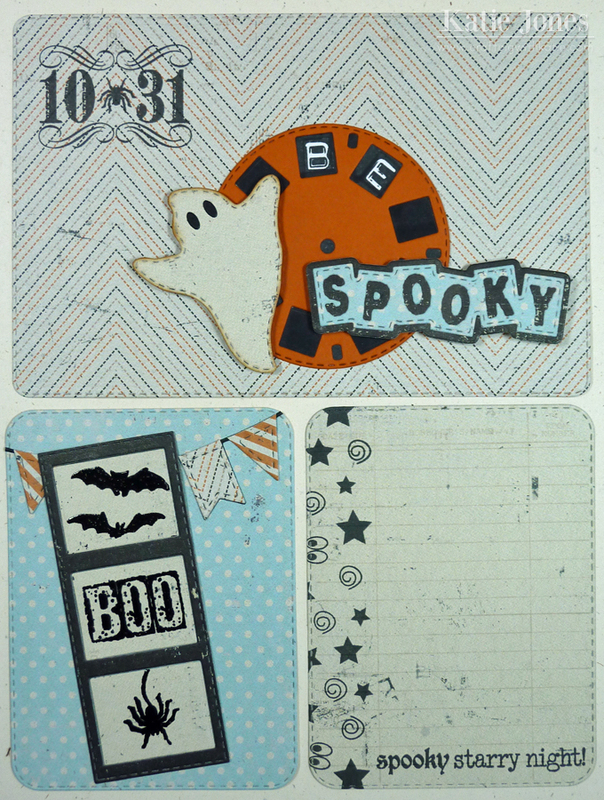 It's Scrapping the Little Things with My Creative Time, which gave me the perfect opportunity to pull out some of the new MCT stamps and dies and create some Project Life cards for Halloween! Now when Halloween arrives, my cards are ready, and I'll just need to slip some photos into my photo pockets and do a little bit of journaling! 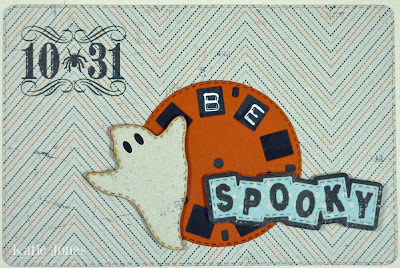 For my title card, I used the MCT Stitched 4x6 Journal Die to create my background with my all-time favorite Halloween patterned paper: My Mind's Eye's Mischievous collection. 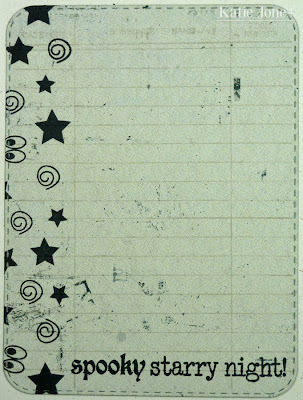 All of the patterned paper I used today is either from the 12x12 or 6x6 collections of this paper. 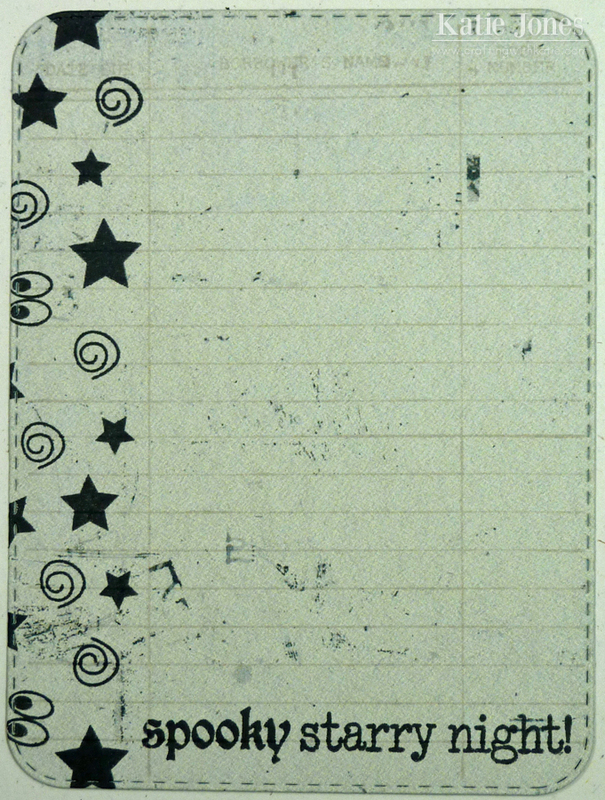 That awesome 10-31 stamp is from MCT's Spooky Starry Night. I used the new What a View! Die and discovered that one of the Sizzix Framelit Circle Dies is the perfect size to make a backing for it. I cut that out of white. I was then able to stamp "BE" with the MCT Label Font. To make the rest of the windows be black, I just stamped the back of one of the letters from Label Font (to get just plain black squares) onto the white circle where each window opening would be. The adorable ghost and "SPOOKY" are from MCT's Stitched Spooky Ghost Dies. To make this simple journaling card, I used the MCT Stitched Journal Die and stamped it with a background from MCT's Journal It! Then I added a spooky strip of background stamp down the side and a cute sentiment across the bottom from MCT's Spooky Starry Night. 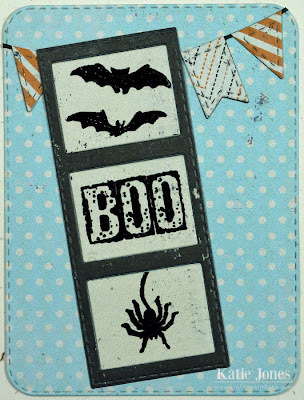 For this cute card, I had fun with the new banner from the MCT Stitched Party Dies. I cut it once in black, and then again in patterned paper to get the pennant layers. I then used the Photobooth Stitched Die to make another fun element that includes embossed images and a sentiment from MCT's Fright Night. Now, I just can't wait for Halloween to come so I can get some great pictures and get all of this added to my Project Life album! This is so fun Katie! 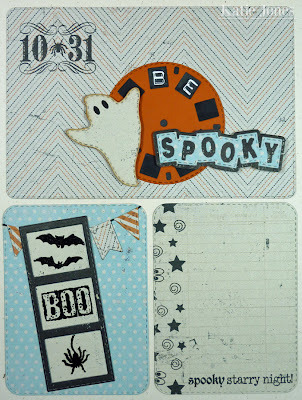 Loving the new MCT stamps and dies!!!! Awesome job on your page! Both of your projects a wicked awesome you truly did a fantastic spooktacular job!! I love your genius idea of how you stamped the photo wheel you are so clever along with just a whole of you are so talented!!!! Super cute, Katie. Love seeing how you used the ghost with the viewer die and how you stamped inside it to make the phrase be spooky. Great idea. Great idea to make ahead Project Life cards. They are so adorable.